A System Software Engineer graduated from Delhi University and having overall 4 years of extensive experience in developing state-of-the-art software modules for telecom industry specializing with BSS & OSS. Core expertise in rating and billing services related to 2G and 3G, 3G+ technologies including GSM, GPRS, VOIP, WiMax, V-SAT, VAS Services, and Leased Lines with various access technologies. A Software Associate Analyst grown System Software Engineer having great experience with all the stages of SDLC including designing, developing, testing and rolling out complex telecom software's. Exposure in drafting and implementing different processes and have been actively involved in ISO 9001 and ISO 27001 certifications. B.Tech in Computer Science (2005) from Ambehta University with 8.8 CPI. Secured first position in statistics during B.Sc. Gold medalist at 10+2 level due to highest rank in mathematics. If your experience is not project based then you can simply name this heading as Experience Detail and list down all the experiences either in buletted form or in simple & short 2-3 paragraphs. You can keep a small passport size photo at the top-right corner of the resume but this is really not required. Don't use various unnecessary formatting in your resume. Keep simple text as much as possible in your resume. Have a look at sample resume. You will find many HRs who prefer resume only in simple text format. So if you will keep resume formating simple then it would be easy to format that resume in any format. Don't include too many phone numbers, email addresses or addresses. Don't prepare too big resume. It should be as precise as possible. Always give a summary of the resume at the beginning. Always give a detail of roles and responsibilities you have taken during any project. 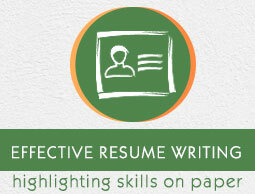 Make sure the resume is neat, free of typing errors, and on plain white paper. Never give a reason for leaving your previous job, your salary expectations, your current job challenges etc, and better to leave such points to be discussed at the time of interview if required.